2356 Pea Ridge Road, Mill Spring, NC 28756 (#3368052) :: Robert Greene Real Estate, Inc. HUGE price drop! Amazing value! 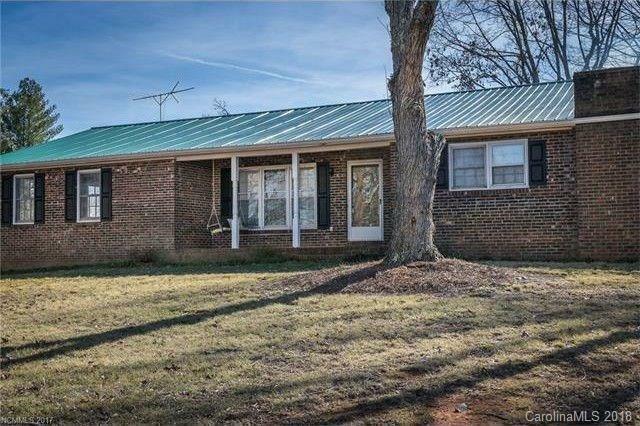 Well maintained 3 BR, 2 BA Brick Ranch on 8.62+/- acres less than 2 Minutes to the Tryon International Equestrian Center. Bonus craft/office/playroom. Workshop in basement. Refreshed painting. Upgraded windows & doors. Newly added deck to enjoy spectacular 180 degree view of the Blue Ridge Mountains from the home, which is located on the top of this gently sloping land. This is a GREAT opportunity to get one of the BEST views on Pea Ridge Road. 2 car carport. Entry way with built-ins. New roof.Please, no drive-bys. Home is not visible from the road. To see the home and views, schedule your private tour through a real estate agent. Sold by Town And Country, Realtors.